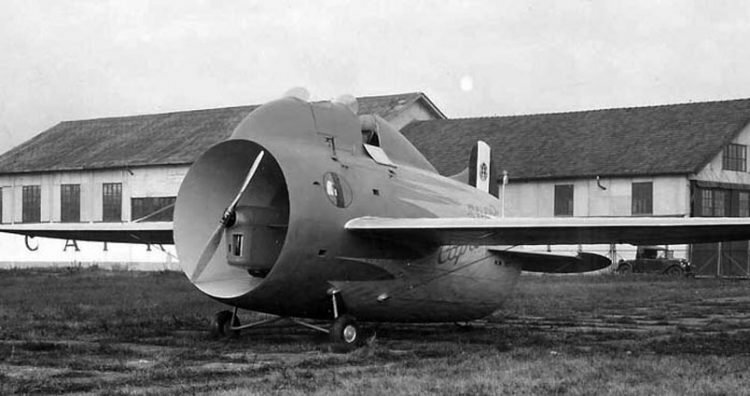 The Stipa-Caproni prototype aircraft was basically a venturi tube fitted with 120hp de Havilland Gypsy III engine and a propeller at the front end of the tube. It was built by Caproni in 1932 but it never went into mass production because…well, it didn’t really fly; the original test report says the strange plane only flew for a distance of 500m at a height of 5/6 meters. A unique replica of the odd looking flying machine is owned by Lynette Zuccoli, from Brisbane, Australia.